The first 3 criteria are easy to evaluate on paper and that's what Part 2 of this series covers. The last criteria - diversity- can only be evaluated in person. The best way to do this is by visiting the school either informally or through organised open house events. By the time I finished the steps highlighted in Part 2, I had a shortlist of 3 public schools - 1 Montessori, 1 traditional learning center and the 1 we were zoned to. I also had around 6 private schools that I intended to visit. My primary objective in visiting these schools was to evaluate if they were as good as they seemed on paper. I was looking for an atmosphere of respect for parents and students regardless of similarities or differences. This is the one step where I would say the most important thing in to go with your gut feel, forget being PC (politically correct). That's really hard for me to describe, so instead I'll highlight the different things I saw that led to me dropping or keeping a school on the list. I was sitting in a coffee shop beside this school when they closed for the day and all the students, parents and harassed nannies coming into the shop reminded me of an episode of Real Housewives of Orange County. Eliminated for wrong, posh vibe. I asked the school principal about "diversity in the students and staff members" and he/she stuttered for almost a minute before mumbling that they do have one member of staff who's male so there's some gender diversity there. Duh! if I, the only black person in the crowd, asking you about diversity makes you nervous, I don't even want to know what your problem is. Sometimes I don't ask about diversity. I just walk down the hallway and look at school pictures. If in 10 years worth of pictures representing over 3000 students, I see just 1 minority kid in the 2013 picture.... that's a showstopper. I expect the student body racial demographics to reflect the racial demographics of the city and in the last ten years, more than 20% of the people in Calgary have identified as visible minorities including 2% as black. Was it all bad? Not at all but I can tell you that the school that was at the bottom of my list after my evaluations from part 2 shot to number 1 after I visited because the vibe was jaw-droppingly amazing. This is the final part of the Choosing our Future Elementary School Series. 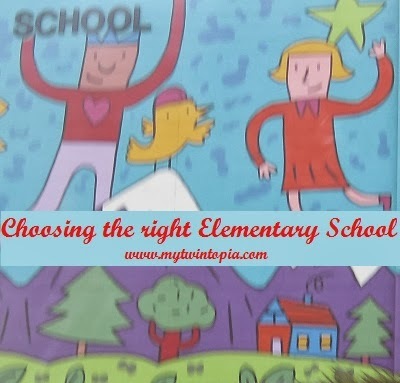 Yesterday I posted about the first step for choosing an elementary school for us. That first step was defining our expectations. I narrowed down my expectations to 4 and in this post, I will highlight the steps I took to evaluating how the schools available in my city met some of those expectations. Compile a list of public, private and charter schools that meet your academic requirements. My requirements are that the school be ranked among the top 20% in the province of Alberta. Check the private schools. Eliminate the ones that are not affordable for your family (we're talking twins here). BUT before eliminating based on tuition only, confirm that there are no scholarships your family could qualify for. Map your current or future neighborhood and your current or future workplace to the schools on your shortlist. Eliminate schools that are outside of driving/busing range and zoned to neighborhoods you will not be moving to. Trade off: If there's no school left on your list, start again with more relaxed criteria. If there are too many schools on your list, be more stringent with your criteria. Bottom line for me was that I wanted just one likely public elementary school that the girls would attend. Then all the charter, private and alternative schools were evaluated against this public school. This is part 2 of my In Search of our Future School Series. Last year, I attended the open house in 5 different private schools in Calgary. This was in preparation for the girls starting kindergarten in the fall of 2015. (Some schools in Calgary have up to 4 year wait lists hence my aggressive head-start). After what has been an eye-opening 12+ months, I'd like to share some snippets of what I've learnt. Start with the future in mind. Define "what sort of 18 year old would I want my child to be?" and work your way backwards from that point. For me, I would like my girls to be 18 year old young women who are comfortable in their Christian faith, confident in their body image, able to interact with a diverse population of people and have a world of career/lifestyle options at their feet. Confident body image: A school that has a good physical education program, a well-maintained gym and a big outdoor sports field. This criteria puts the "X or ?" on a lot of inner-city schools. And yes, I correlate body-image to athleticism. Sounds like a tall list right? To be honest, I don't expect any school to provide everything, but I hope to narrow down to the best options. This is part 1 of the Choosing Our Future Elementary School series. 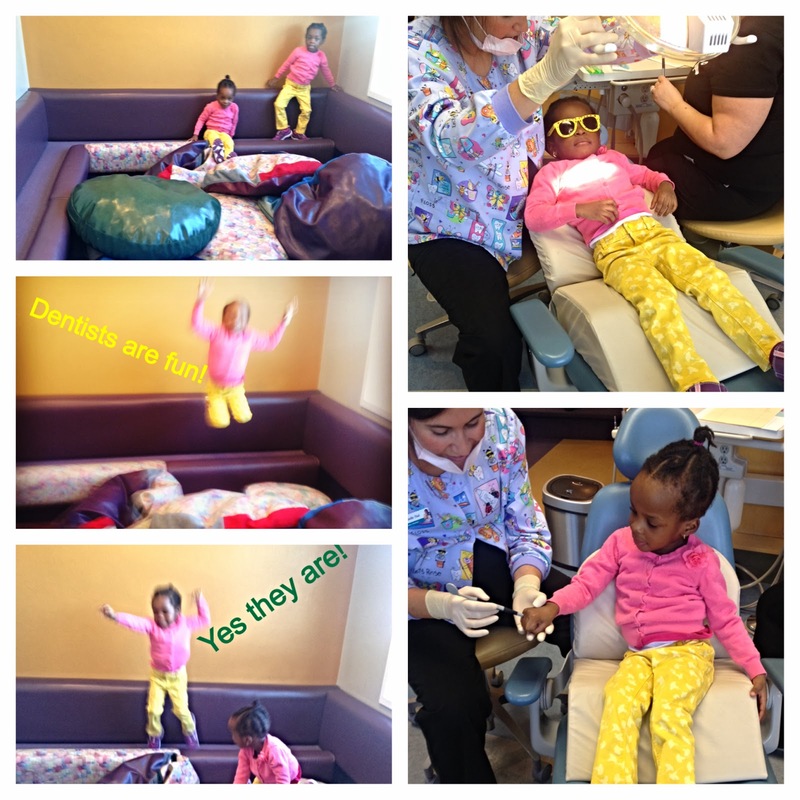 The first time I took the girls to the dentist, it was a memorable event. They were around a year and a half and I picked them up midday and drove straight to the dentist office - no diaper bag, no nothing. (Please note that fact and my double negative!). The minute we were on the dentist's chair, the first baby had a major blowout. Then the second followed. On our FIRST visit to the dentist. I was "that" mom who didn't have diapers or anything of the sort on her. I believe that we left the appointment with the girls sorta wrapped in those stiff paper towels that grace all medical offices. Luckily for us, the dentist was a mom to 7 month old twins and I jokingly told her that she should take my experience as a preview of what life could be like. Fast forward to last week and the girls had what was their 3rd or 4th dentist visit. It was fun, no cavities to report and the dentist whispered to me that even though she's supposed to "graduate" them up to a doctor that deals with older kids, she won't. She's keeping 'em. We love you too Dr M! PS: If at all available, choose a pediatric dentist instead of a general dentist who treats different ages. The office of the pediatric dentist is structured specifically for kids so visits end up being mega-fun. Dentist says we should start flossing and gave us a bag of crayola floss sticks for kids. I confess, I haven't started yet. I know the fluoride + kids topic is a hot/controversial one. Where do you stand on that? I've spent the last few days mulling over the recent death of Philip Seymour Hoffman. I think his death really got to me because even though he was a popular actor, he had the aura of the everyday guy you sorta know who rides on the bus with you everyday. My thoughts on street drugs have evolved since 2006 when I moved to the US. I no longer sit perched on a high-backed chair passing judgement that "all you need is willpower". I believe addiction is a disease and sometimes willpower is a myth. With the death of Michael Jackson, I was made even more conscious of the danger of not just street drugs but also prescription drugs. The scariest part of the drug-culture is how rampant it is and how close kids can easily come to drugs. YOU CANNOT PROTECT YOUR KIDS FROM AN ENEMY YOU DON'T RECOGNIZE! The first line of defense for any child is an educated and involved parent. I plan to start now by accessing the resources available at Drugfree.org and staying informed. I encourage every parent, no matter how young your kids are, to get knowledge, stay informed and stay involved. Answer to the question "what do you want for your (3rd) birthday? So we had our first visit to BuildABear workshop. Someone zoomed in on the pinkest, princessiest teddy bear and her twin went for the puppy dog. Can you guess who got what?